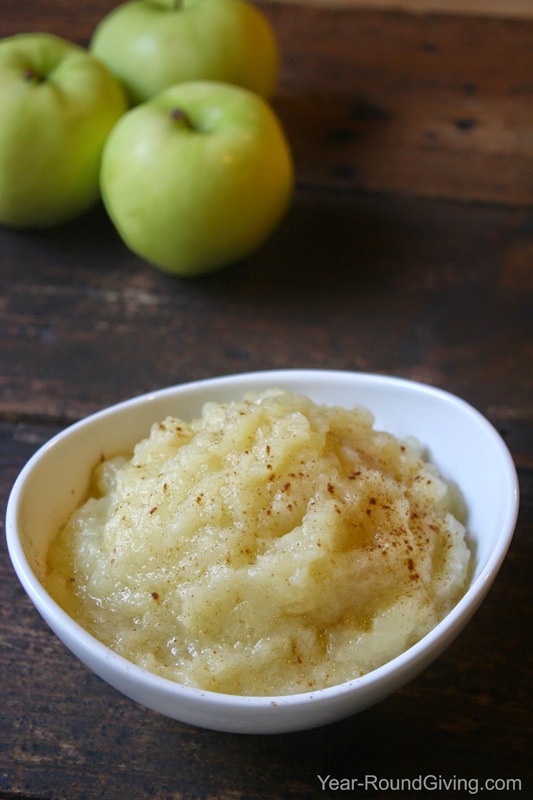 Applesauce is really quick and easy to make. This time of year you can get a great deal on fresh apples so it is a great time to give this a try. Once you make fresh applesauce and you control how much sugar is added, you will not want to go back to store bought applesauce! This isn't an exact measurement recipe. This is more a basic "How To" so you can create your own applesauce recipe. You will sweeten to your taste so take note of you own measurements. Use whichever apples are your favorite. I use Golden Delicious. Minimum of 3 apples: peeled, cored, and chopped. Place apples in a pot. Add just enough water to cover the apples. Bring to a boil and cook until tender. About 5 minutes. Drain the water. Place apples in a food processor and puree. If you want a chunky applesauce use a potato masher and mash until you get your desired consistency. Optional: Add cinnamon to taste. Cinnamon is a strong seasoning so start with just a pinch. Things to do before decorating with acorns.